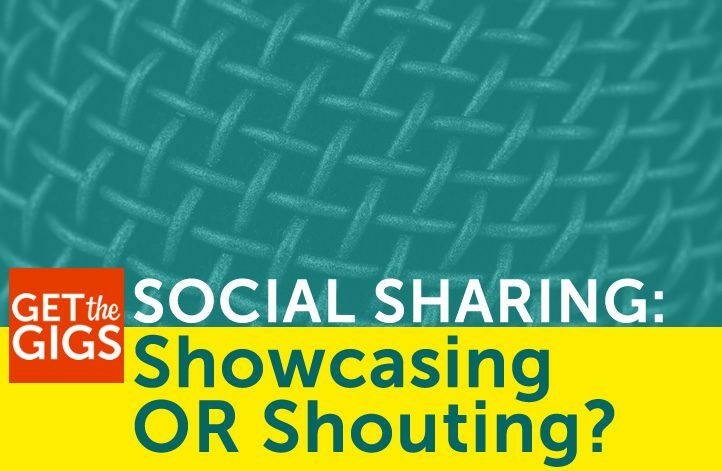 Best Time For Social Sharing? It Depends! According to many, there are ABSOLUTELY to-the-minute, one second later equals failure, BESTEST OF THE BEST times to share on a social media platform!!! But is that 9:23 AM Eastern? Central? Mountain? Pacific? And that’s only spanning the time zones that cover the continental United States. What about daylight-saving time? You get my drift, right? I’ve never seen an article or infographic detail the differences in “best time” social media sharing based on audiences that span multiple time zones. Most people running a digital business find themselves with a following that spans countries, if not the globe. 9:23 AM for me, in my EST space, is 6:23 AM for my family and friends AND peers in California (PST). While many of them are early risers like me, there’s no guarantee that they’re sitting ready and waiting to see what I’ve posted as the sun rises on their day. 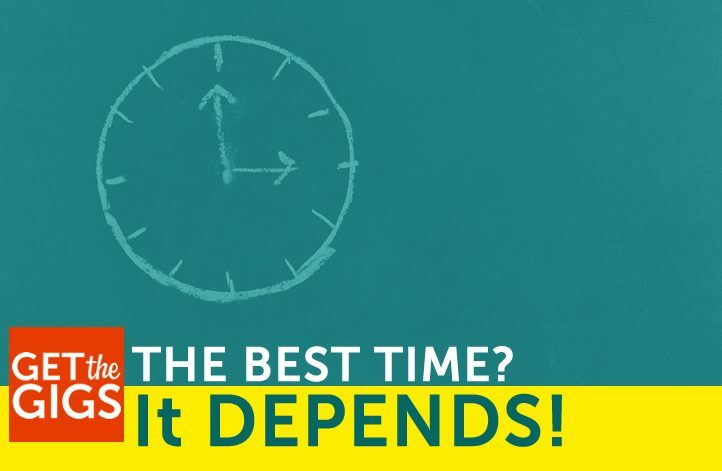 The most recent “best time” share, the one that prompted this article, shared lots of best time information for the big social media platforms. It detailed the “best” times to post to Facebook, Twitter, Pinterest, Instagram, and Linkedin. A ten hour window is pretty wide. You wouldn’t accept that from a service provider. Imagine if you were getting cable TV installed and you were told the installer would arrive between 9 AM and 7 PM. No bueno! The lifespan of a tweet is different than the lifespan of a photo shared to Instagram. The likelihood of you seeing a specific Facebook post is different than the likelihood of you seeing a specific pinned image or Linkedin post. That response might sound wishy-washy and passive aggressive in other applications, but when it comes to the “best” time to share on social media in order to “best” impact reach and engagement, it is the BEST answer. I can get on board with a one-size-fits-all scarf. It makes sense. But there’s nothing sensible about a one-size (or time) fits-all solution for social media marketing. https://www.getthegigs.com/wp-content/uploads/2018/07/NEW-time-depends.jpg 471 722 Mallie Hart https://www.getthegigs.com/wp-content/uploads/2018/06/GTG-w.png Mallie Hart2018-05-01 09:50:452018-07-06 16:41:06Best Time For Social Sharing? It Depends! I’m 47 years old and my eyesight is still pretty dialed-in. That being said, I far too often find myself squinting on many a site that hasn’t jumped into the twenty-teens when it comes to type size and web design. Tiny type and dense paragraphs aren’t likely to prompt repeat reads or social sharing. And don’t get me started on tiny type in a gray so light there’s no contrast with the white background. That’s another blog post entirely. There’s a difference between legible and readable. We generally think of legible when it comes to handwriting. Consider the stereotypical doctor’s handwriting. Having worked my way through college as a pharmacy tech, I can vouch firsthand that many a doctor delivered prescriptions in almost impossible to decipher handwriting. But legibility plays an issue when we’re perusing a blog for shareworthy content. If I can’t SEE the content without squinting, because it’s too light, too small, or is delivered with a grungy typeface, we’ve got a legibility issue. Legible + Readable = Killer Content! Only if your content is legible will many a social sharer take the time to suss out whether it’s readable and, thus, ripe for social sharing! But let it be shouted down from the rooftops, no one’s going to critique the length of your sentences and paragraphs when they’re bemoaning the 10 point type in front of their tired and watering eyes! Bump Up The Volume AND Type Size! The days of default 12 (or even worse, 10) point type should NOT be looked back to longingly. There’s nothing nostalgic about inducing nausea and migraines amongst your readers. This site’s default type size, making use of all the loveliness that a carefully selected Google Font has to offer? 18, baby! And my type color default is BLACK on a white background. When you make it legible, you give your readers the chance to decide whether your content is readable. And when it’s legible and readable, it’s more often deemed shareable! And isn’t that what better blogging is all about? https://www.getthegigs.com/wp-content/uploads/2018/06/NEW-size-does-matter.jpg 471 722 Mallie Hart https://www.getthegigs.com/wp-content/uploads/2018/06/GTG-w.png Mallie Hart2018-02-06 11:52:572018-06-30 17:04:50Better Blogging: Size DOES Matter! It’s time for a little real talk about the way some speakers are conducting themselves on Twitter. I know, I know, I’m snarky as all get out, so where do I get off saying anyone’s not being nice? My answer? Yes, my writing style, both short and long form, is certainly snarky. But, if you’ve ever interacted with me in a one-on-one social media conversation, you’ll see I’m one of the nicest and most appreciative spouters of snark around! You’re Being A Twit On Twitter. Knock It Off! All righty all of you speaking Tweeters. I know you create and share content for a variety of reasons. But we all know that when we publish or share a link we cross our fingers and blow the fluff off a dandelion (just me?) hoping our social media circle will share that content. And then? It’s here where things can go a bit pear-shaped and wonky. If you’re a proponent of appreciation marketing, you know that shared content deserves a sincere show of appreciation. Meaning some sort of thanks. What I can’t really get behind? The immediate RT of my share. Ummmm, Thanks For The RT? Am I missing something? Is this really a sincere form of appreciation? I mean, I know, it gets my handle in front of your followers. And that’s certainly nothing to be sneezed at. But it’s not particularly social. It doesn’t invite me to continue the conversation. It doesn’t give me the warm and fuzzies and it doesn’t make me think you’re feeling any warm and fuzzies. When you RT my share of your latest publish, I don’t feel appreciated. Instead I feel like you’re using my share as a means to share your own content again without your audience getting on you for sharing it too often. Now, that’s just my opinion. Perhaps I’m wrong. I often am! But if you’re trying to build a valuable presence on a social media platform, I can’t understand this type of anti-social sharing. Wouldn’t a short, sweet and personalized thank you be more meaningful? It certainly means more to me. Am I on to something here? Or am I just being persnickety as well as snarky? 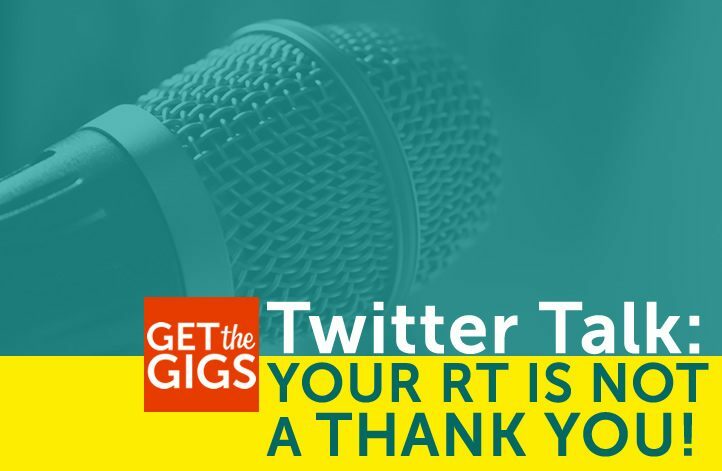 Do you feel appreciated and thanked when someone RTs your share of their content? Or would you prefer two simple words? https://www.getthegigs.com/wp-content/uploads/2018/01/new-twitter-thanks.jpg 471 722 Mallie Hart https://www.getthegigs.com/wp-content/uploads/2018/06/GTG-w.png Mallie Hart2018-01-05 11:16:232018-06-21 19:42:01Twitter Talk: Your RT Is Not A Thank You! I’m often surprised when I see how little effort many brands and small businesses put into their tweeting. Maybe it’s because I spend the bulk of my online time on Twitter, where I’ve built a nice following and circle of peers, but I often feel that the social media platform that works in under 140-characters or less, doesn’t really get its due. I admit it, I can get all atwitter about Twitter. It’s my favorite social media platform and I spend more time tweeting than I spend on any other type of social sharing. Why? Because I’ve seen and been able to reap the rewards and the results of the time and effort I put into the Twitterverse. It’s easy to get started. Signing up for and setting up your account doesn’t require a degree in rocket science. It’s simple and requires you to get the the good stuff immediately. 140 characters. Its fast-paced feed allows for the most repeat shares (smartly done, of course) of any social media platform. It’s easy to connect and converse with your peers and your prospects. Twitter lists make content curation a breeze (more on that in a future read). I hope I’ve convinced you that tackling some tweeting is worth your while. If I have, you might like to peruse my top tips for tweeting terrific and not terrible! 1. Share The Expertise Of Others, Not Just Your Own! When it comes to tweeting, you have to remember that you aren’t the owner of the only smarts in your industry. 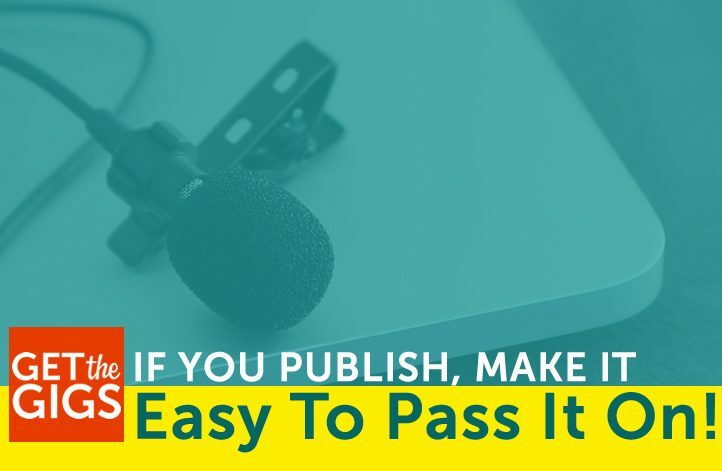 It gets real old real fast when you only share your own content, especially if you don’t have a long blogging or content creation (video, infographics, etc.) history. Smart social sharing involves tweeting what others have created and crafted. Sprinkle your own content in, too, of course, but do it with a sense of balance and an understanding of what your audience is looking for. 2. Acknowledge Those Who Share Your Articles, Videos, Etc. 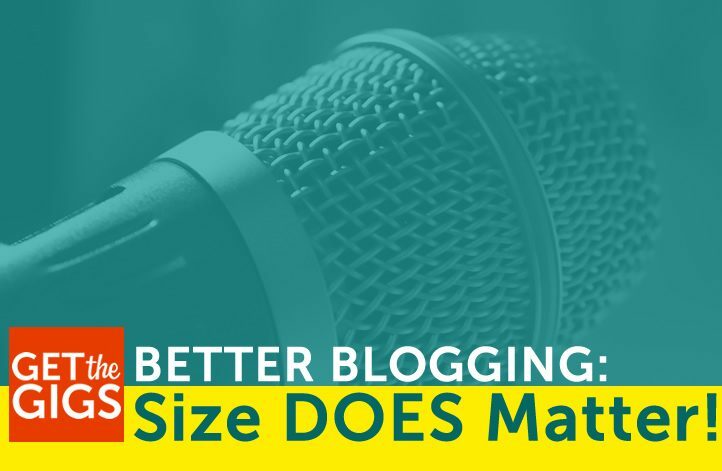 When someone takes the time to share your latest epic blog post or the slide deck from your latest speaking gig, it only makes sense to acknowledge the sharer. It takes mere seconds to send a quick “thank you” reply to the original sharer, and it’s an easy way to engage in a little extra conversation. For example, along with your thanks you can ask what they liked best about the read they shared. You could also ask if they’ve written about similar topics. If they reply in the affirmative, you just might find some great content to share that will help you with Tip #1. And remember, retweeting your own post as shared by another is NOT acknowledgement. It’s self-promotion. Take the time to craft a thank you that doesn’t once again share your own content! 3. Make Sure You Get Credit For Your Creations! I can’t tell you how many times I try to tweet and share some killer content only to find that the author hasn’t added his/her Twitter handle to the tweet copy. Don’t make me search it out in your site footer when it’s REALLY easy to have it automatically load. I sometimes decide it’s not worth sharing if I have to search an entire site in order to figure out how to attribute authorship. Go into your social sharing settings and add that handle. Otherwise you’ll have a hard time thanking those who share your stuff. Go too long without tweeting thanks and you just might find your content going unshared. 4. Make Tweeting Easy For Your Readers/Visitors! 140 characters, that’s the Twitter limit for sharing. But the smartest tweeters know to leave at least 20 characters available for those who want to retweet. And that’s including that handle mentioned in Tip #3. And any relevant hashtags. There’s almost nothing more annoying than having to rewrite someone’s tweet because they didn’t set it up properly for sharing. Except when someone has their blog auto-excerpt their SEO snippet into their tweet. Which is way over 140 characters. Which means it’s truncated. Craft tweets for the easiest sharing and retweeting and you’ll reap more rewards for your tweeting efforts! UPDATE: Twitter now allows for MORE than 140 characters per tweet. But you still don’t need to use up every last character. Keep it to the point, use relevant hashtags and leave a little room for retweets. Sharing is so very social! 5. Timing Is Everything When You’re Tweeting! Ten tweets in ten minutes is not the way to make the most of your tweeting time. In the biz (the social media marketing biz – that is) it’s known as firehosing and it’s a quick and easy way to lose followers and decrease the ROI of your tweeting efforts. Spread it out. That’s why there’s a plethora of top notch social scheduling and management tools available for varying monthly investments. And don’t share old content that’s no longer of any value to your peers and prospects. Old blog posts should be revised before you add them back into your tweeting schedule to ensure they’re correct and timely. Trust me, sharing out of date information is NO way to build trust and wow prospects! So, there you have it. A few tips to get your tweets to tally up points for your business and brand. We’ve barely scratched the surface, though. Twitter is a terrific tool, especially for those building a personal brand – I’m talking to you speakers and presenters! 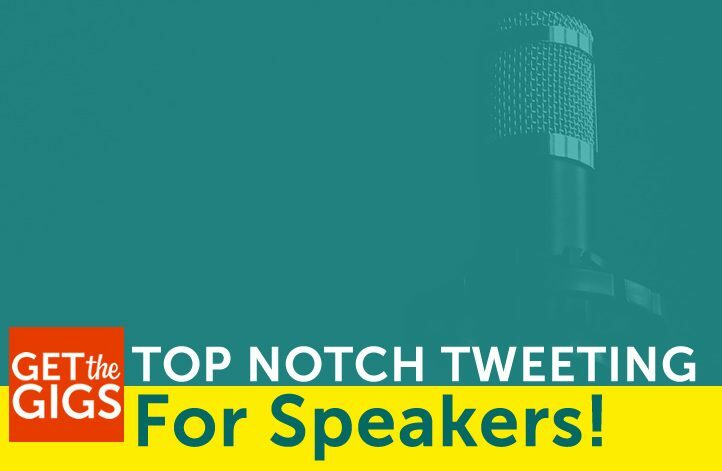 I’m working on a Top Notch Tweeting For Speakers email course and I’d love to get a few of you on board early as a beta-test team. How can you get involved? Leave me a comment and I’ll get in touch with you re: becoming a guinea pig!